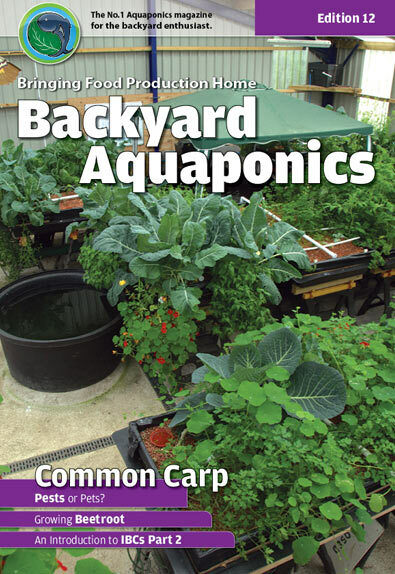 The Fifth edition of the Backyard Aquaponics magazine is packed with aquaponics information. Details about some of the articles are available below along with some sample pages. This edition is available as an electronic magazine for immediate download. The download file is a pdf file approximately 5MB in size. Please note, this item is an ELECTRONIC version of the magazine that will be available for immediate download. If you would like to purchase a printed copy of this issue, click here. The Nitrification Myth John Burgess investigates whether the long held beliefs about the nitrification process may not be quite as set in stone as what most of us think. An interesting article questioning the role of nitrobacter bacteria. 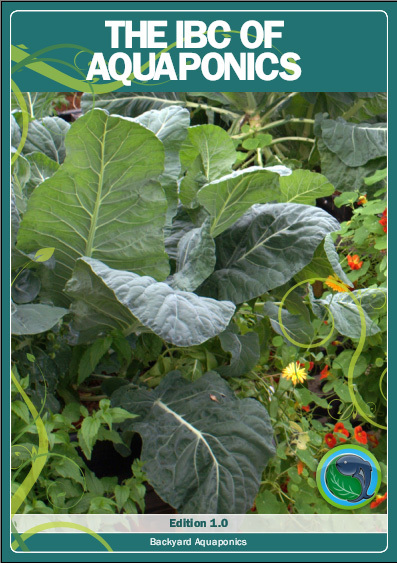 In The Kitchen This issue contains 4 great recipes for using your home grown produce from your aquaponics system. Caesar salad with super croutons, Thai fish cakes with a bit of zing, basil pesto, and roasted capsicum sauce that will definitely be a hit. Brians System Brians aquaponic system has been running for quite some time now. Read how he designed and built his large 8 bed system housed inside a poly tunnel. Brian helps us understand that aquaponics can be simple and productive. Lava Land Black soldier fly larvae are fantastic recyclers, they will consume all of your veggie scraps and turn them into high protein fish feed. They harvest themselves when mature and as a fly they don’t bother humans in any way. 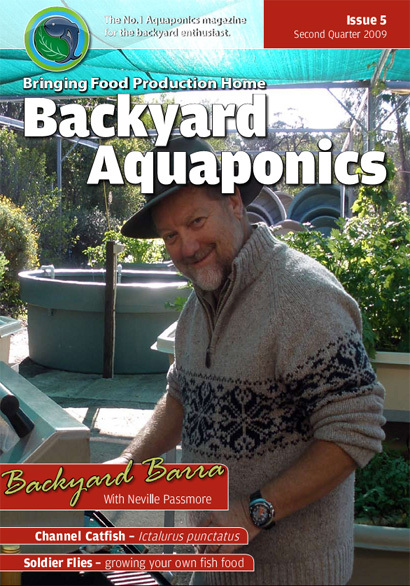 Backyard Barra In this article we follow Neville Passmore as he tries out aquaponics in his own backyard. He shares the highs and lows of his early experiments, a refreshingly open story from Neville. Aquaponics in Kenya Follow some of Travis’s experiences in setting up a barrel ponics system in Kenya. He goes back a year after helping to build the system to see whether things are still up and running ok. These are just a few of the articles you’ll find in the 5th edition, below are a few sample pages to look at. This is a sample page from an article within this edition, for a larger image, please click the page above. This is a sample page from an article within this edition, for a larger image, please click the page above. This is a sample page from an article within this edition, for a larger image, please click the page above.